I will be the first to admit that kid headphones are something I used to only think about when I got on a plane. Yet, in recent months, my wish for readily accessible headphones, for everyday use, grew drastically when my kids…..got iPads. Now that we are building our forever home, we have a lot of site meetings, design meetings, and supplier meetings. With so many meetings, and a busy lifestyle, the kids come along to the meetings more often than not. However, they are not as interested in the kitchen layout or the HVAC system as I am. So, they get to use the iPads, and my husband and I can focus on air conditioning systems. However, you can only imagine having a discussion about the kitchen sink when you hear the theme (loudly) to the Angry Bird game or are distracted by the latest episode of Vampirina. I have wished many times in recent weeks to have headphones for the kids so I can hear someone talking to me. My wish was granted! CozyPhones heard of my plight and sent kid headphone samples for us to try out. I can 100% honestly say that when I saw these kid headphones for the first time, I knew these were the best for our family. The kids instantly fell in love with them too. They look like sweatbands. However, inside are flat felt disc ear pieces. You can manipulate the ear pieces inside the band a bit to find the right location for your kids’ ear placement. The band itself can be angled like a headband or a Rocky-esque forehead band. The fabric is soft and machine washable (gentle cycle and air dry only.) Just pull the headphones out before washing. The headphone cord even impressed me. It feels and functions like a shoe lace. So it is fabric like, soft and flexible. From a practical purpose, these hit the Mom-mark!! Another bonus is that while the CozyPhone band goes over your child’s ear, it does not cup the ear. Many kids find the cupping uncomfortable. 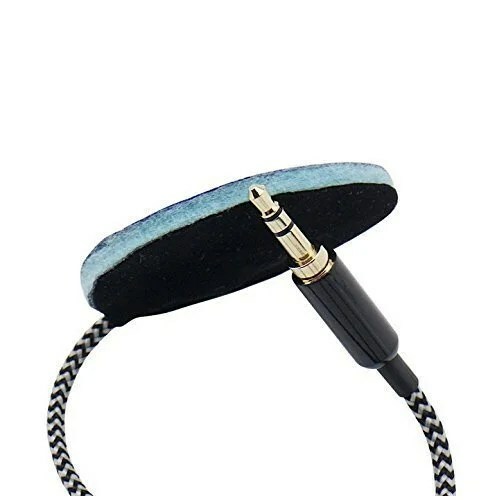 While the CozyPhone band goes over the ear, the soft fabric is similar to a hat. So, it is a familiar feeling. Plus, a child can adjust the band upward or fold it over to find their comfort level. These have a lot of flexibility and ‘customization’, if you will, for the child. Added to the awesome factor were the cozy and cute characters – from a frog and unicorn to licensed designs – everything is embroidered into the fabric so no ripping embellishments to worry about. Best handbag holder and why you need one! However, hands down, my favorite thing about CozyPhones is that these are super packable. I tuck the cord inside the band and fold the band in half. It takes up very little space in my purse or in the glove compartment in the car. So, I always have them handy now. In fact, I had to take a call in the car on the way home the other day. It was hard to hear the caller when I could hear a dance game app in the backseat. I pulled over, handed them the CozyPhones – and peace ensued! The unbulky nature also enables kids to lay down on a pillow or a car seat headrest. So these can be great to play music to lull the kiddos to sleep on the way back from grandma’s house or on a long plane trip. I cannot wait to use these on our upcoming vacation. No more bulky kid earphones that take up tons of space in the carryon bag and get squished (and plastic pieces broken off) along the way. I’m giddy! The only issue is – I wonder if my kids will share? Mom wants to be a unicorn too!